Kanye West&apos;s "Yeezus Tour" has raised the bar in nearly every aspect that a live musical performance requires. The stage and set have been phenomenal, the custom tour wardrobe is like nothing else, and the performances have become the stuff of legend. One other component of the tour that has absolutely killed the competition is the tour merch. The stuff has spawned pop-up shops that were just as crowded as the arenas the tour has sold out, and the tees and other apparel can be seen all over the country. We spoke with Geo, a graphic designer at DONDA who was involved with the team&apos;s conceptualization and execution of the merch product. In this interview, he introduced us to the new apparel that was released to coincide with the second leg of the "Yeezus Tour," and how it all came to be. 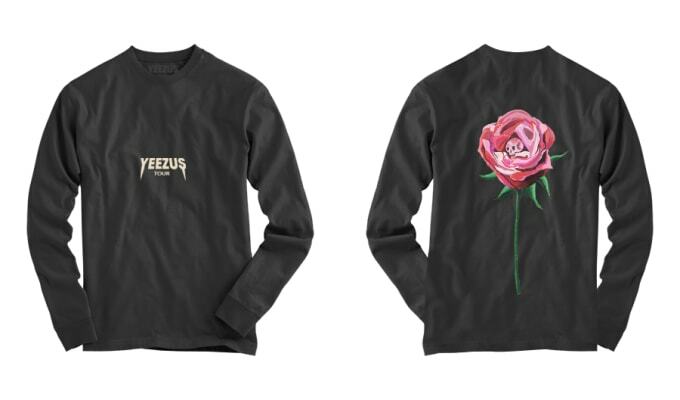 What is your role in designing the Yeezus Tour merch? 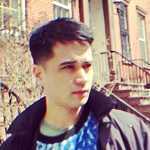 As one of the graphic designers at DONDA, my role was to create concepts all the way through to finished products with the rest of the team, with people such as Joe Perez, Virgil Abloh, and Kanye. Are all the pieces on your site new for the second part of the Yeezus Tour? As I know it, it&apos;s just new merch for the Yeezus Tour. We have created so much more, hopefully at some point that emerges. <strong></strong>What was Kanye&apos;s input in the whole process and the creative product? What wasn't his input? Kanye is very hands on with all elements of the tour. He also takes into consideration ideas visually and verbally, and respects everything we do. Why did the Yeezus tour merch take influence from metal bands of the &apos;80s? Man, if you look back at some of the bands from the &apos;80s, there were timeless aesthetics. As of now, you&apos;d like to look back in a decade and remember the vibes from Yeezus. With the Akira inspired mountain, runway, elevated glacier, and huge circular projection screen, this is a show that won&apos;t be forgotten. There will be stories you can tell your kids later down the line. In the words of Kanye, "rap is the new rock n roll." What was it like working with Wes Lang? Can you maybe describe the creative process between Donda, Kanye, and Wes? Wes Lang is a cool dude, super talented. From Kanye to everyone at DONDA and Wes Lang, we are all hands on with hundreds of ideas that we narrow down to the most powerful ones. We still refine old ideas and see what we can do to make everything better and take it to a higher level of perfection. What did you think of the reaction to Kanye utilizing the Confederate Flag as a central motif for the Yeezus Tour merch? A friend of mine asked me about this the other day. My opinion on the use of the flag is pretty straight forward. The flag represents good and bad in history and you choose what you want to believe in. Clearly it is has more of a bad history in the black community. I think it&apos;s a clever use to both show and bash down racism and claim back and make the symbolism his own. I&apos;ve heard many comments on the use, some I agree with, some I don&apos;t. Just a matter of perception. Do you have a particular piece that you&apos;re proud of, or is your favorite? That&apos;s a really hard question. I think the praying skeleton is my favourite. Wes Lang is genius with the art. I&apos;m proud of all of DONDA&apos;s work in the past two years. What were the best lessons you learned from the whole experience of designing the Yeezus merch? Best lesson, hmm. Just to remain open minded and try ideas left of the field. You&apos;ve obviously found a significant amount of success. There are countless people who would kill for a job at DONDA. If you could give any parting words to aspiring designers or creatives, what would they be? So many people are in the game today, everyone wants to be the next big thing. To all creatives in general, don&apos;t contain yourself to pop culture. Do what you want and as long as your execution is perfect you won&apos;t have a problem moving forward.